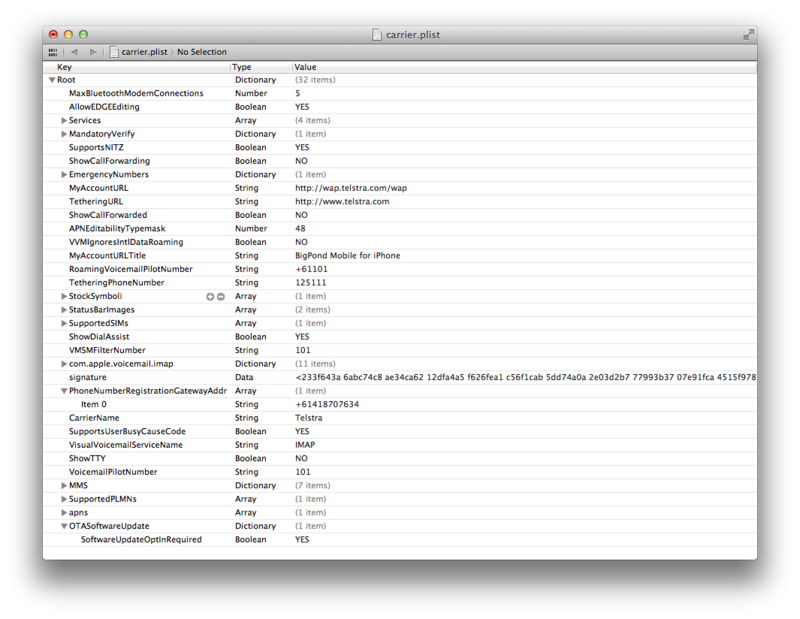 as carrier bundles (or, carrier settings according to Apple). 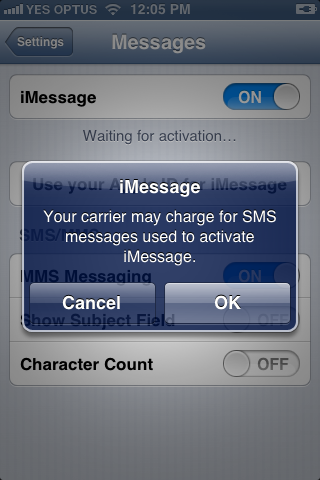 that are installed on your iPhone or iPad (Wi-Fi + Cellular models). Settings &gt; General &gt; About and waiting several seconds. tethering for free if your carrier charged for it, such as AT&T). 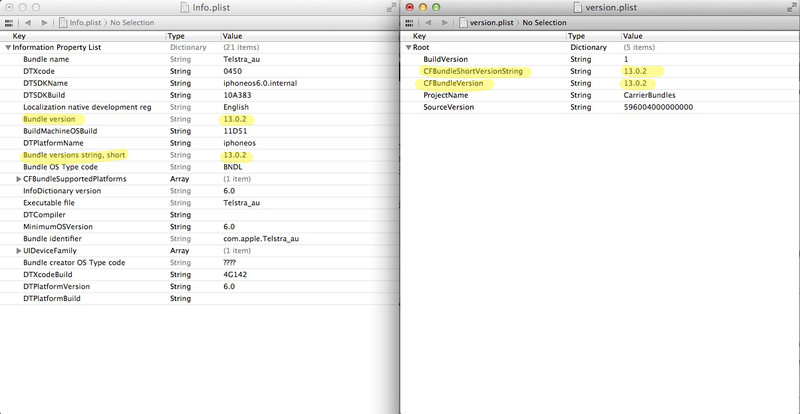 jailbroken phone with 'commcenter' patched to bypass signature checks. 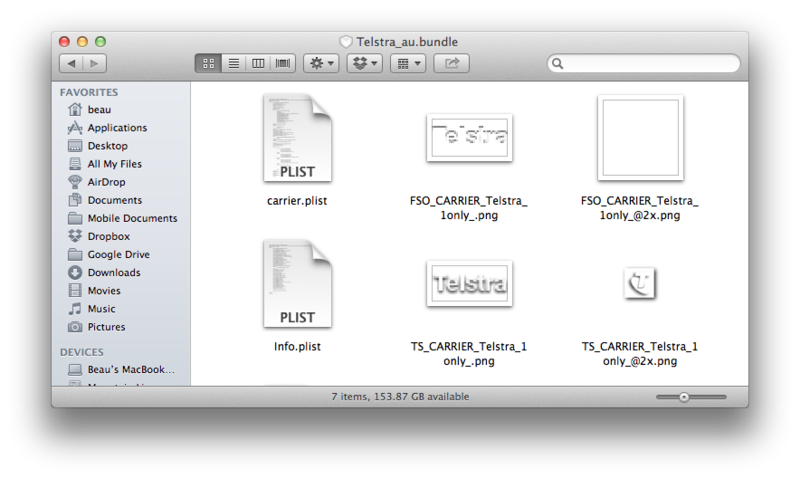 out my own custom carrier bundles here. then push it to your phone. It just takes a bit of time and patience. 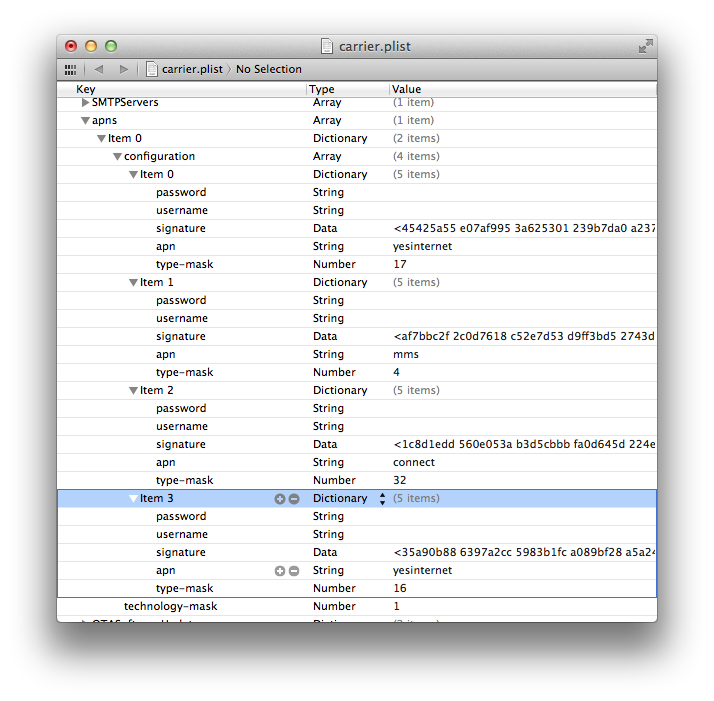 find them on Apple's server by looking in this XML file. 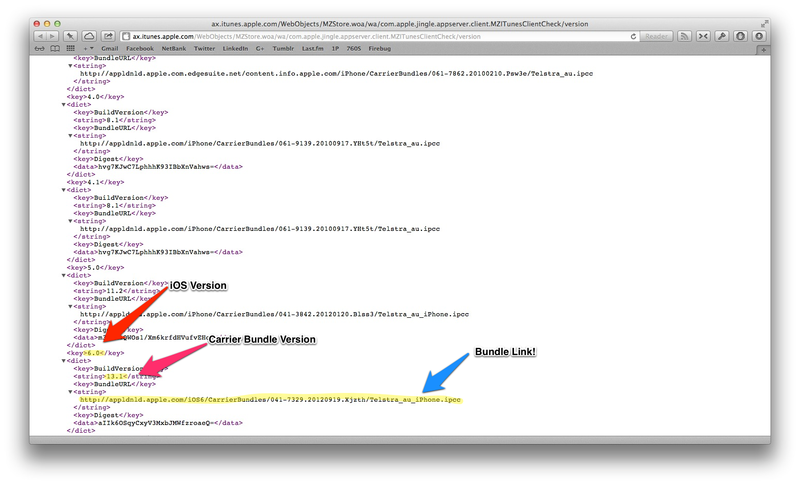 Do a quick search to find your carrier and see if a bundle is available. update over the air and you can only find your bundle inside iOS. Once you've got your carrier.ipcc, unzip and open Carrier.bundle. it to 13.0.2 and so on. yourcarrier.ipcc, and push it on with iTunes. Easy! can't be edited without a jailbreak. 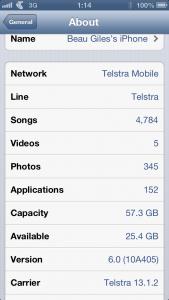 must be used for tethering, but your MVNO may use 'internet'. Unfortunately you of course cannot edit these APNs. do so. Unfortunately customers end up missing out. 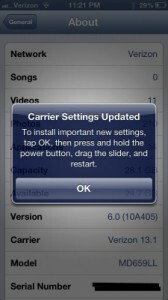 If you're interested in what else is available, there's a great page on The iPhone Wiki on what's inside Carrier.plist.